Everyone in the world loves jumping in muddy puddles – or so a certain pig would have us believe. Now wet weather will be more fun than ever, because we’ve found a range of kids’ wet weather gear that changes colour when it gets wet! 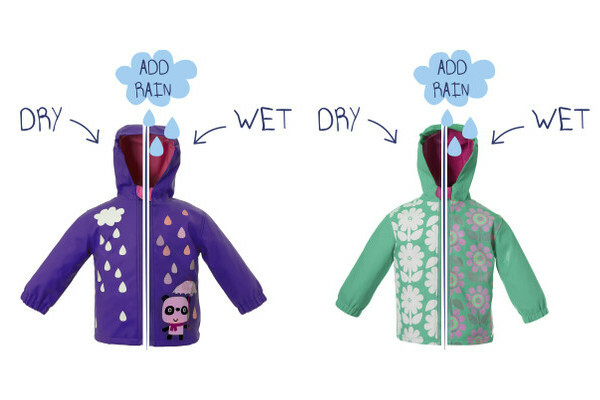 The UK-based brand is Squid Kids, and they have produced a wet weather clothing range that’s so much fun, we guarantee you’ll never have to beg your child to put on their raincoat ever again. Although the Squid range (for adults) has been around for more than five years now, their children’s line is relatively new on the market. They’re not your run-of-the-mill raincoats and umbrellas though. Although they look pretty great when you first put them on, that’s nothing compared to how they’ll look once they get wet. How do they do it? It’s beyond me, but each design changes colour once water is added, and otherwise invisible details will appear as well. 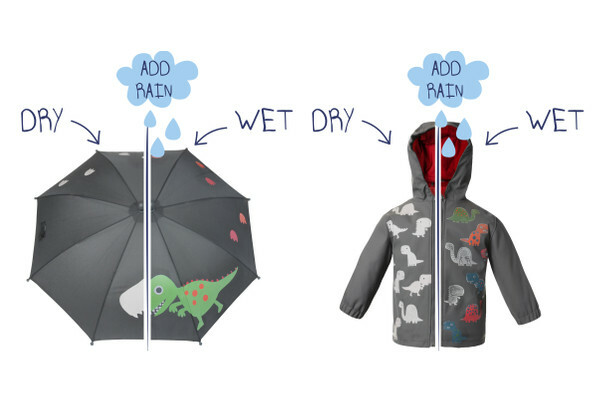 Whether it’s spots on the dinosaurs, or little people appearing in the window of the bus, I can hardly imagine how much fun these raincoats would be for kids to wear. 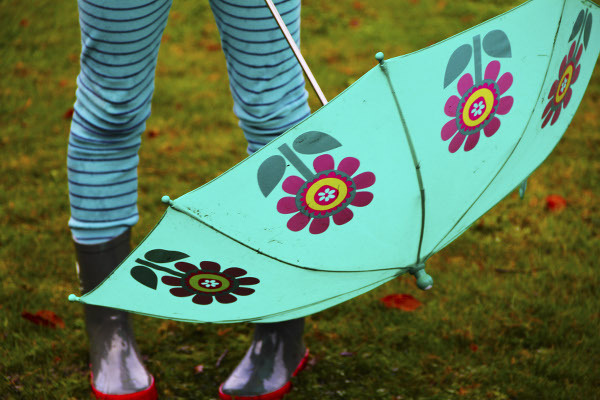 The line includes umbrellas, raincoats and gumboots (as well as drawstring wet bags), and they currently have six different designs across the range. You can see the whole kids’ range at Squid Kids and buy from there too. 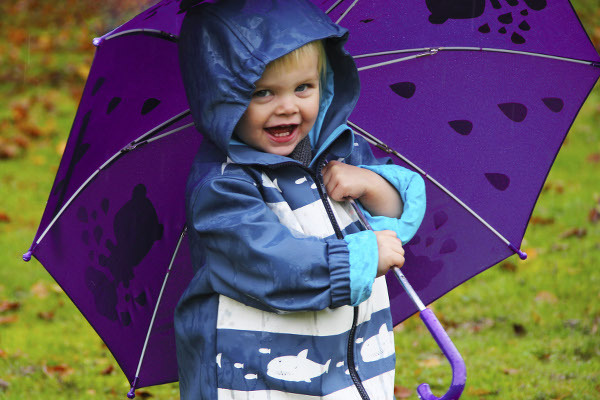 Raincoats are £39 each, with gumboots at £24 and umbrellas at £15.